James has recently undertaken a training course in the 3D software package SolidWorks, to further expand his knowledge and skillset. 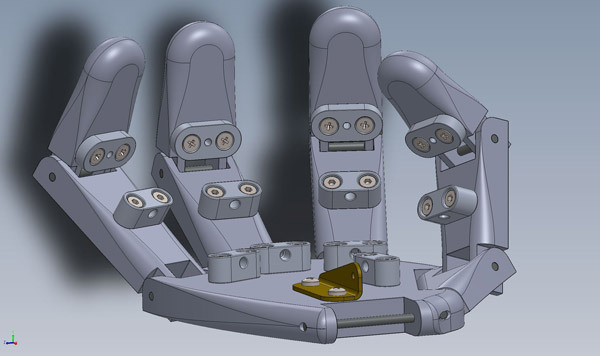 Having had access to SolidWorks during the course and over this trial period he did lots of modeling, working on previous animatronic projects to further develop his experience using SolidWorks. This particular character had three fingers and a thumb, the fingers are 70mm long and the joint pins and screws are 2mm diameter to give an idea of the size. James totally re-designed and updated his website www.james-miller.biz to bring it up to date. James project managed renovation and general building work on a Grade II Listed Building in a managerial role and hands on construction work. Liaising directly with the client, architect and associated trades ensuring the project remained within budget and on time. James designed and made a mezzanine floor, steps and wall using structural timber to maximize space and storage inside a steel framed building. James is the sole owner and Director of the business. Designed the logo and branding for Norfolk Fencing Ltd. The company primarily specializes in bespoke fencing, bridges, abutments, garden and landscape design from concept to completion, including practical hands on construction and installation, including work for Estates, Halls, large private properties, Churches, playgrounds and a community woodland. James was a joint owner and Director of family business with equal share. Designed the logo and branding for Savory Fencing Ltd. The company primarily did large agricultural fencing work, also culverts, cattle grids, ponds etc. and working for clients such as Norfolk County Council, Pensthorpe Nature Reserve and Woburn Deer Park. James was a Senior Design Engineer in the highly confidential New Product Development department, a very small team of people working with James Dyson on a daily basis. Developing new ideas, conceptual design and prototype test rigs and models for proof of concept for both domestic and non-domestic products. James designed the website www.james-miller.biz to showcase his work. 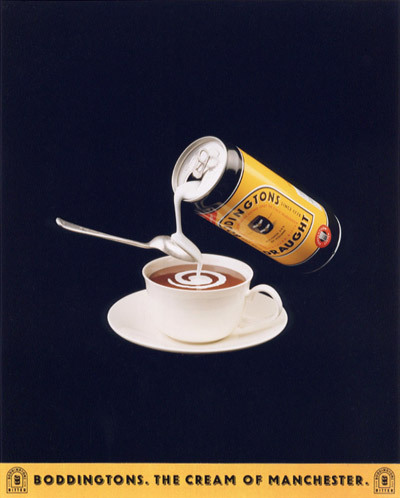 James designed, made and photographed a new Boddingtons advertisement to continue in the same theme of there successful advertising campaign with the hope of selling this idea to Boddingtons who liked the idea very much but their advertising agency, due to internal politics in the art department felt they were unable to accept it.